It is infectious and replicates. That was the reasoning Professor Len Adleman did back in 1983, while studying the malicious program his student at the time, Fred Cohen, had created as a university experiment. As he told us in a recent interview, he was studying actual HIV viruses in a molecular biology lab at the time, and soon it hit him: this program capable of quickly self-replicating in an infected system behaved like a regular virus. We owe Professor Adleman the term computer virus ever since, and that is why we chose this cornerstone event from 1983 to declare Antimalware Day, an ESET initiative to reinforce the importance of protecting against threats in a world where computers can fit into our hands. This is a date to honor the early work of Dr. Cohen and Prof. Adleman, and the foundations they laid for malware research and the development of computer defense techniques. Today we continue the celebration by showing exactly how these two scientists made history at a university lab. The work of these men ended up inspiring a constant development of computer defense techniques, and the constant research on computer threats. Professor Adleman knew this was a cornerstone for computer science history and he encouraged not only Dr. Cohen, but also his subsequent groups of students, to dig into the subject. Many of those early papers might have been the grounds for what later became the antivirus industry, so this is quite a legacy. Some years after that, ESET also started looking for ways to develop successful countermeasures and continues to do so. In the meantime, many experts, researchers, analysts, educators and other specialists joined this fascinating field and started working on research and awareness on computer threats. "A virus is a program that can 'infect' other programs by modifying them to include a, possibly evolved, version of itself". In this and his subsequent writing, Cohen did a pretty good job of summarizing the broad spectrum of viral malware and antimalware technologies. True viruses nowadays constitute only a small proportion of malicious software (which is mostly distributed by other means such as malicious spam campaigns and drive-by downloads rather than self-replication), but his analyses of defensive techniques and technologies are still largely applicable, though mainstream anti-malware technology today uses a spread of technologies – what Cohen called the 'synergistic effects of defense-in-depth'. "Eventually, any defense can be defeated, but the use of defense-in-depth seems to provide far more effective protection than any other current alternatives because it covers each attack with multiple layers of defense". As you can see, a lot has changed since the 80's, but there is something that remains the same: the need for protecting every system as thoroughly as possible. Luckily we have mutiple layers security solutions and well-known experts working around the world to study malware and come up with ways of protecting from it. Do not miss the opportunity to join us celebrating the importance of antimalware protection on this Antimalware Day, to be held on November 3 every year from now on. Spread the word! 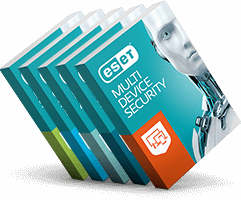 Since 1987, ESET® has been developing award-winning security software that now helps over 100 million users to Enjoy Safer Technology. Its broad security product portfolio covers all popular platforms and provides businesses and consumers around the world with the perfect balance of performance and proactive protection. The company has a global sales network covering 200 countries, and regional offices in Bratislava, San Diego, Singapore and Buenos Aires. For more information visit www.eset.com or follow us on LinkedIn, Facebook and Twitter.